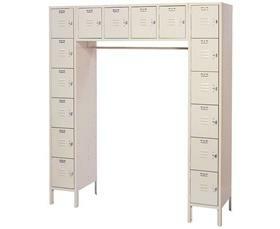 Provides ample coat storage and lock-up compartments for up to 16 people. The Lyon 16-person LockeRack® provides coat storage and lock-up compartments for 16 people in approximately one-half square foot per person. Door pulls serve as padlock hasps (padlocks not included). 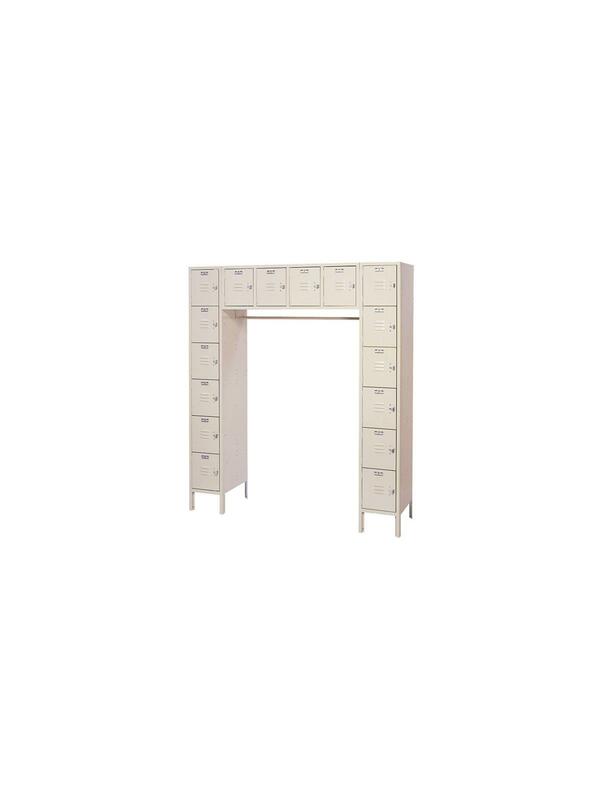 Shipped knocked-down with frames and doors factory assembled in two upright sections and one horizontal center section with coat rod included. Compartments are 12”W. x 18” D. x 12”H. Overall dimensions are 12”W. x 18”D. x 78”H. Available in Dove Gray (DD) or Putty (PP) or Wedgewood Blue (BB). FOB Shipping Point. 12 x 18 x 78"12 18 78"